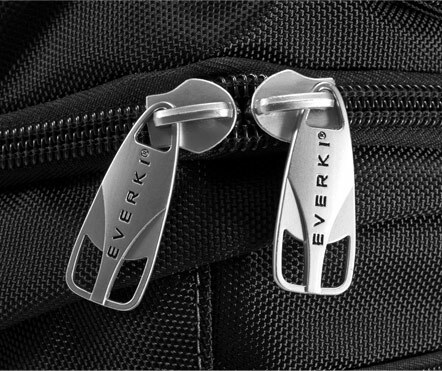 EVERKI’s premium laptop backpack for the mobile professional who expects quality and won’t sacrifice on style. The carefully designed organization affords just the right amount of features, while the top quality materials give the advanced styling you desire. 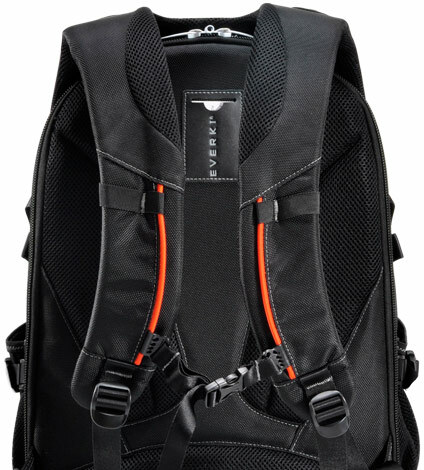 The backpack with premium features and smart styling. 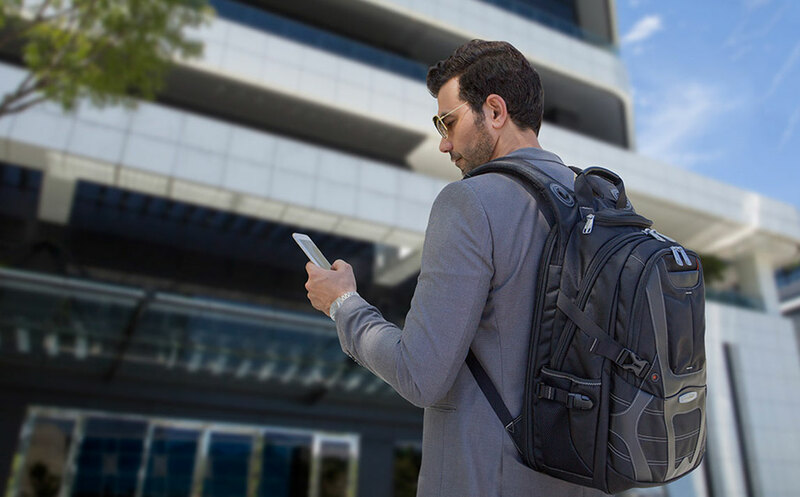 EVERKI’s Concept backpack is designed for the mobile professional who demands organizational functionality and won’t sacrifice on style. We’ve crafted the Concept using our highest quality materials, such as ballistic nylon and top grade leather handle and accents. Only premium features were included in the Concept, like our unique hard-shell sunglasses case and patented corner-guard protection system on the laptop pocket. The modern aesthetics and fresh styling of the bag let you stand out in a crowd. 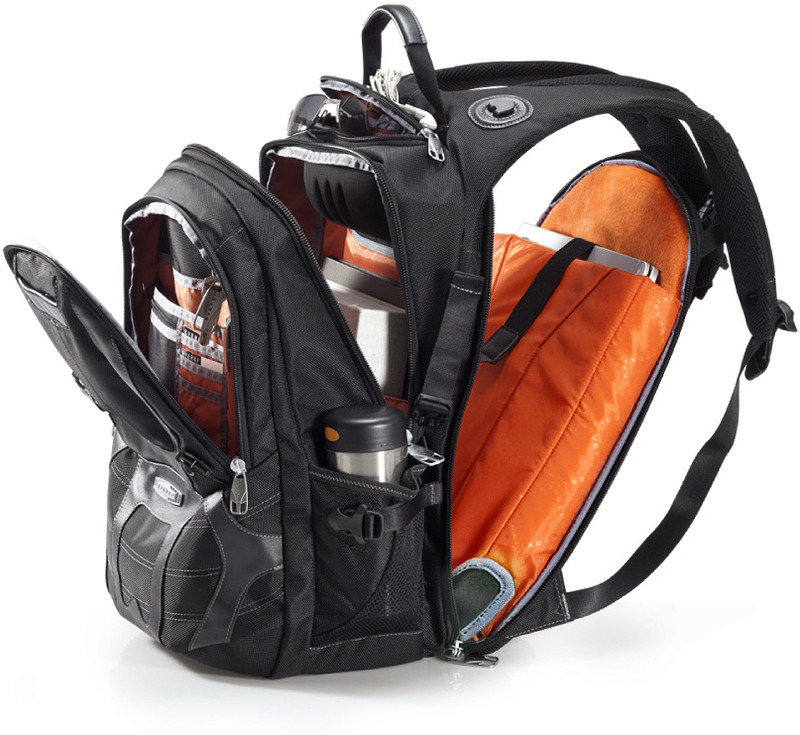 Additionally, the Concept sports exclusive details that are not available on any of our other bags; like a contoured shoulder strap, distinctive zipper pulls, and a unique outlet for your headphone cord. 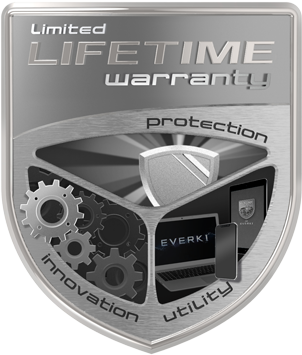 The Concept showcases the quality of EVERKI. 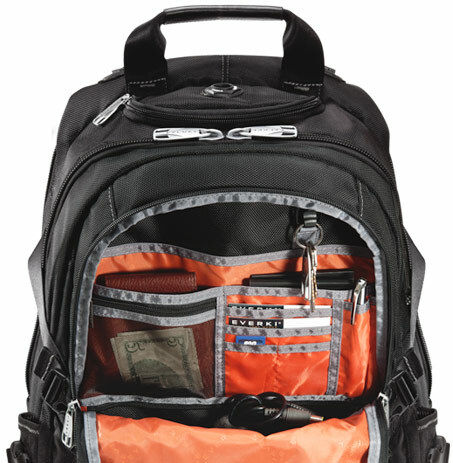 The Concept backpack is thoughtfully engineered with streamlined spaces and select features for your business travel. The technology compartment consists of a felt-lined laptop pocket that can store up to a 17.3-inch laptop as well as a separate felt-lined pocket for your tablet. Your sunglasses or reading glasses are just as carefully protected when you tuck them away in the hard-shell quick-access case on the top of the bag. The main compartment is spacious and roomy, with a file divider to keep your important papers and files neat and separated. Need added security and Peace of mind for your most important documents? Use the bottom rain cover pocket as an optional hidden stash. The Concept – features that matter. Large enough to comfortably fit a 17.3-inch laptop, the super-soft felt lined laptop pocket will keep your device safe and protected. And since airport security can sometimes be a big hassle, we designed the Concept laptop compartment with our hassle-free 180 degree fold-out design. The Checkpoint Friendly design allows you to breeze through airport security without removing your device from its pocket. Simply open the Concept up 180 degrees, lay it flat, and your bag will quickly pass through the scanner. Should you need to remove your laptop, you can take it out and replace it without rummaging through your backpack or removing other contents. When you travel with your backpack as your mobile office, your laptop has to be securely protected. That’s why we’ve engineered the Concept with extra padding in the lining of the laptop pocket and molded-to-fit laptop corner guards. Our patented corner-guard protection system uses form-fitting corners to wrap snugly around the bottom of your laptop pocket, to protect against knocks and bumps – or if you accidentally set your bag down too abruptly. The shock-absorbing system of the Concept will give you Peace of mind, knowing your laptop is safe inside your bag. Constructed from top-of-the-line textiles like water-repellent ballistic nylon, it’s durable enough for the most challenging conditions. Designed for protection and abrasion resistance, this material wicks away water to help protect the contents inside your bag. 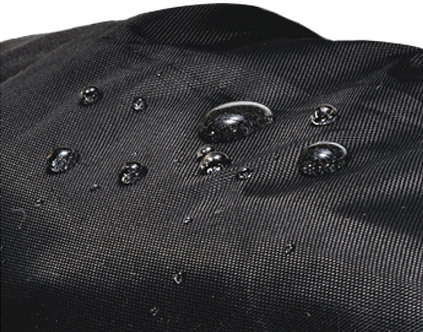 We’ve also included a separate backpack rain cover for protection even in inclement weather. The premium Concept bag incorporates a contoured shoulder strap system to ergonomically balance the load and reduce muscle strain. The weight distributing chest strap also relieves some of the weight from your shoulders and brings it forward, giving greater balance. Have you ever broken a zipper on your favorite bag? We have. That’s why we designed the Concept using heavy duty zippers with extra large metal pulls. So your favorite bag can remain your favorite bag.